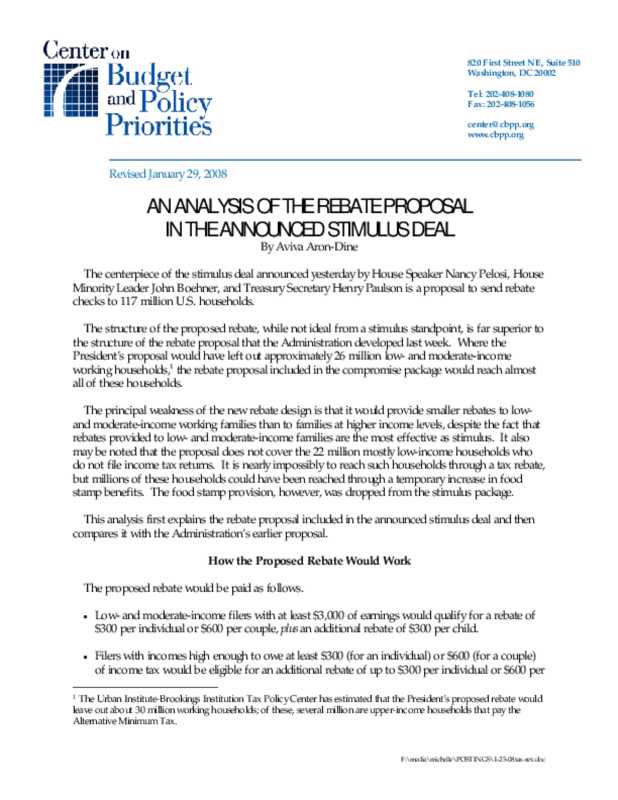 The principal weakness of the new rebate design is that it would provide smaller rebates to low- and moderate-income working families than to families at higher income levels, despite the fact that rebates provided to low- and moderate-income families are the most effective as stimulus. It also may be noted that the proposal does not cover the 22 million mostly low-income households who do not file income tax returns. It is nearly impossibly to reach such households through a tax rebate, but millions of these households could have been reached through a temporary increase in food stamp benefits. The food stamp provision, however, was dropped from the stimulus package.